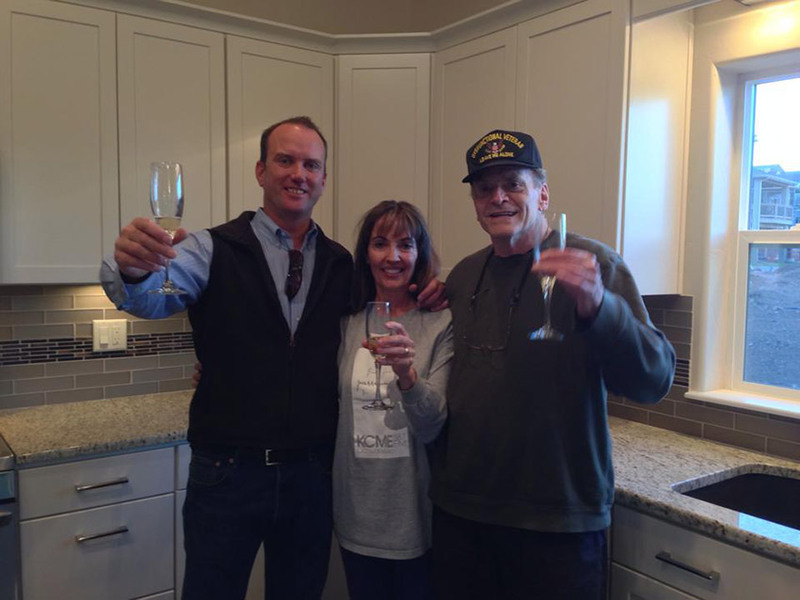 This afternoon we welcomed home Stan Kline and Georgia Moen, one of the many Parkside families we’re rebuilding for. After losing their home in the Waldo Canyon fire, we built Stan and Georgia a brand new custom home that was completely customized for their lifestyle (including a dance floor for ballet in the basement!). We based our “San Juan” floor plan off of the home, which you can view online here. You can read a little more about Georgia and Stan in an article that was recently run by KRDO News.